When you are going planning to go somewhere for business and leisure, there are motives to go there. 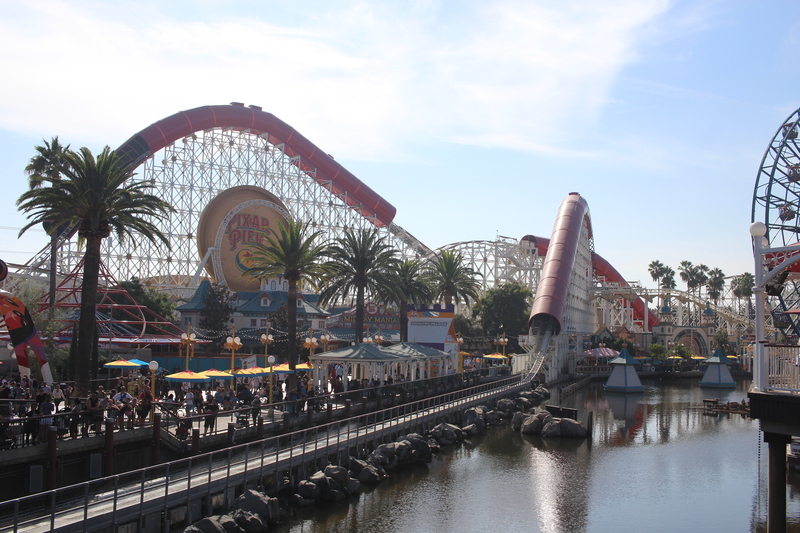 Whether it is to a business meeting with an important client, seeing a baseball game with friends and family where your favorite team is playing an away game, an annual family tradition of going to a theme park like Disneyland, or seeing family across the state, the industries of the hotels, restaurants, travel, attractions & entertainment, and destination tourism that make it all possible. A hotel is a dedicated facility that accommodates travelers while visiting an area for business or leisure (Cook & Etal., 2013, p. 163). Hotels can range from a road side inn off Route 66 to a high end five-star hotel in New York City. They can vary based on the destination, availability of the hotel rooms, and price range of the hotels room. Many chain branded hotels have their own loyalty programs so guests are incentive to come back to their brand of hotels. 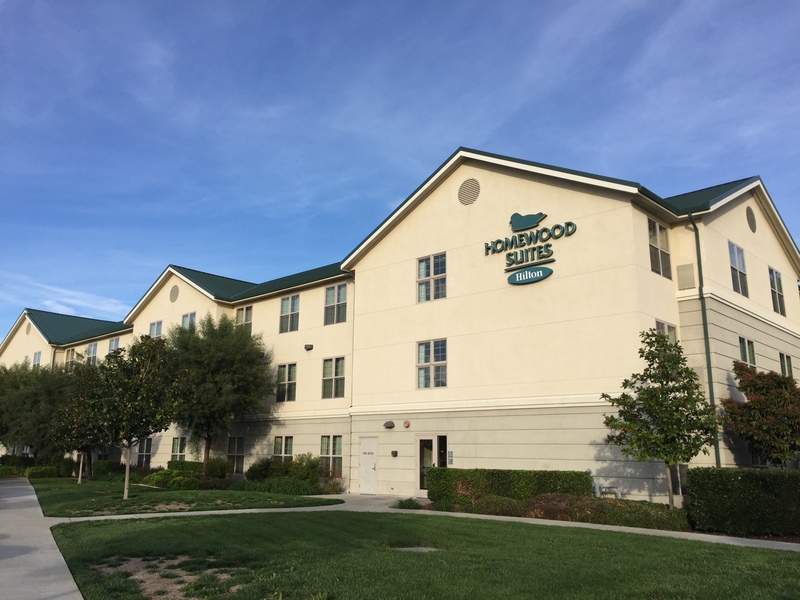 Other method of accommodations include: rental of space from online app that is private property and is not a dedicated commercial facility such as AirBnB and VRBO. Unlike rental apps, timeshares are dedicated commercial facilities that sell time of a condo unit by selling the usage time of unit or points to use as part of the timeshare family of properties. Lastly is hostels, which are similar to college dormitories that sleeping space is shared to reduce the amount of cost to a third of the room rate compared to a private room, and restrooms are shared between a guests staying there. Hostels are primarily catered for the younger and cheaper traveler with the fact of shard space, however, you can rent fully private rooms at three time the room rate of a shared room. Dinners eat fish and meat based bowls and sandwiches at Market Grill, Pike Place Market, Seattle, WA. Many people go out to eat for many reasons while on the road (Cook & Etal., p. 185). They want to get food for cheap eats such as a cheaper fast food restaurants or a cheap local eatery for a good value. They want high level of service such as eating out at a high end restaurants. 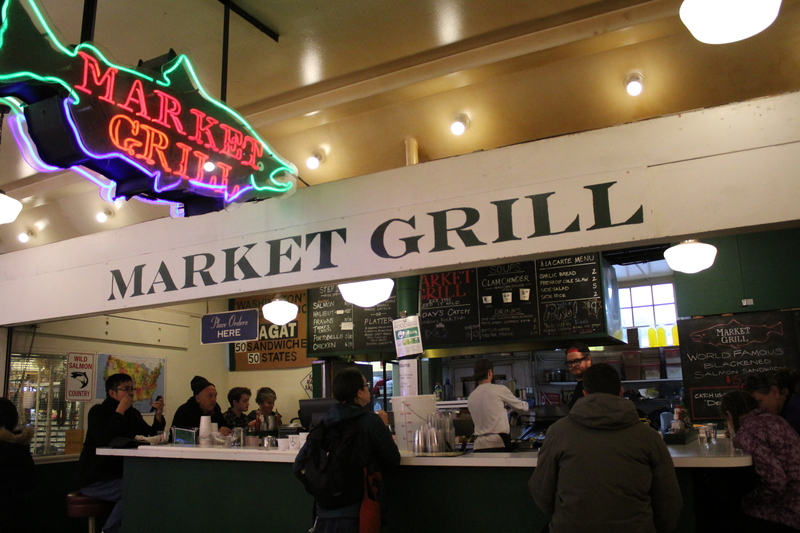 People would want to try new food that is specialties to the area such as freshly caught fish in Seattle, WA. People want to be with a lively group or setting such as a bar & grill restaurants in which everyone is there to eat, drink, and have a good time. Lastly, people would want to try health food options such as a salad specialty or a restaurant that cater to a specific diet. 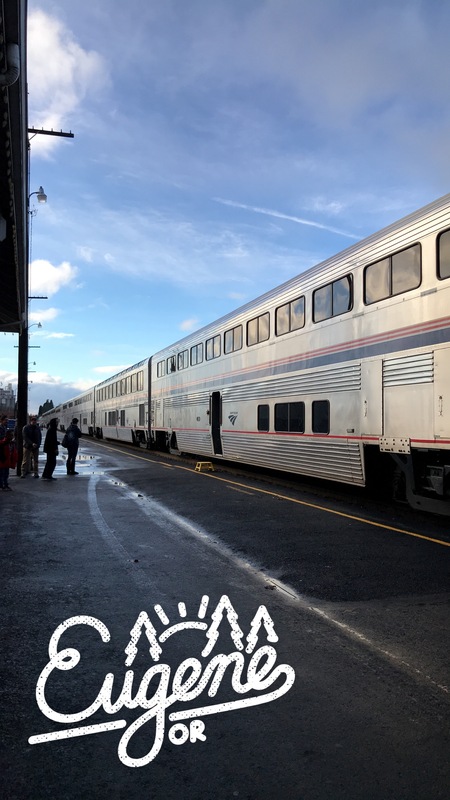 Amtrak’s Coast Starlight train at Eugene, OR. Eugene is about the half-way point for the route between Los Angles and Seattle (Eugene, OR frame provided by Snapchat). Travel is about how travelers get to and from an area. Motor Vehicles such as cars and buses uses roads and highways to get to point a to point b (Cook & Etal., p. 139). For cars, you either drive yourself or someone else in a taxi or in a ride share car. Buses are driven by a dedicated bus driver to drive on fixed route and schedules with an average of 30 miles per hour (48.28 kilometers per hour) on the road to 65 miles per hour (104.61 kilometers per hour) on highway. Trains, like buses, drive on fixed route and schedules that could bring in travelers to destinations that has a train station and route there, however, they are restricted to the rail routes and is harder for trains is a detour is needed. Buses can also act as an extension of a train route to get passengers closer to their destinations if the train station and route is not near it. Airplanes allow many domestic and international travelers to come to an area from a small city airport or a large international terminal, however, airports takes up a lot of space and make a lot of noise for the people on the ground. Cruse Ships are large ocean vessels can make a port of call or terminus of route over long distances, however, the ship has to either dock at the ship terminal if available or the ship has to ferry passengers in smaller boats visit the port of call. Sea Lion from Pier 39 in San Francisco. 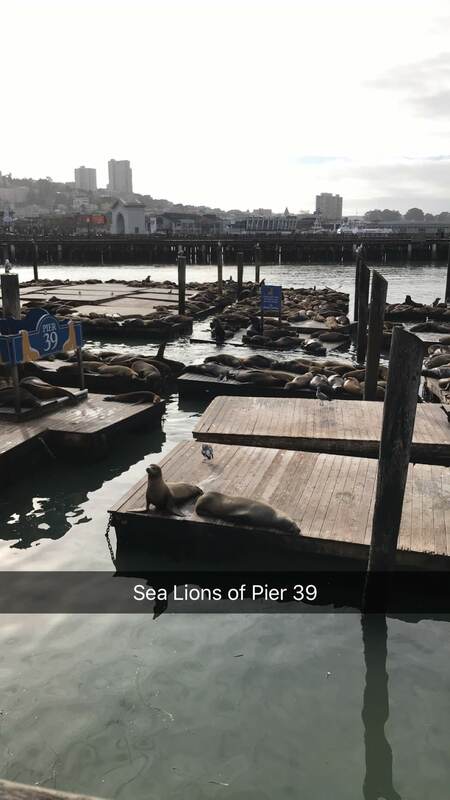 Pier 39 is known for their tourist shops and sea lions that can be seen next to the pier. Destinations are the locations that many travelers want to go to due to high amount of business and leisure activities in that area (Cook & Etal., p. 231). Destination Cities such as San Francisco are able to attract business and leisure travelers for year round visits since there is a high level of tourist attractions, business, hotels, and restaurants in the city. Seasonal snow areas in Colorado for snow sports during the winter and when the snow melts, travelers there can play mountain sports during the summer. Resorts such as Walt Disney World, are large properties that all the amenities for the guests to stay on property such as accommodations, food & beverage, and entertainment. In the case of Walt Disney World, they have four theme parks and two water parks for attractions & entertainment, and plenty of accommodations and food & beverage for guests, so they do not have to leave the Walt Disney World property at all. This only barely searches the surfaces for the topics that I want to cover, and I want to cover more and more in-depth information about each industry of the hotel, restaurant, travel, attractions & entertainment, and destinations that will be for people curious about the industries. I hope you can come along the journey with me to learn more about the hospitality, travel, and tourism industry. Hospitality and Travel (5th ed., pp. 1-10). Upper Saddle River, NJ: Pearson. pictures are taken by AntSol Travel unless otherwise noted.